This article discusses the process that clinicians use to develop person centered plans for individuals with intellectual or developmental disabilities. Virginia and many other states have moved to more individualized service planning for individuals with intellectual disabilities. Depending on where you live, service plans may be recognized by several different names but they all serve the same purpose. Service plans are often referred to as Individual Service Plans (ISP), Consumer Service Plans (CSP), or Person Centered Plan (PCP). Regardless of what you name it, the ultimate purpose is to help the client achieve their personal goals. Case managers and service coordinators have been using person-centered planning for years. The goal is to expand on what we already provide in order to give the client an even more personalized service plan. The person centered plan or PCP puts more emphasis on what the client wants and the support team adjusts to make it happen. The support team is dedicated to providing the supports needed to help the individual thrive. Everything down to the venue of the planning meeting is based on the individual needs of the person. 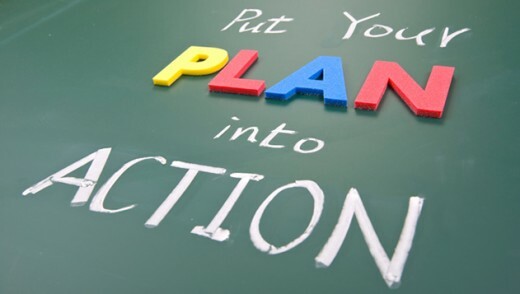 Person centered plans are not as simple as meeting for a few minutes and coming up with a few goals for the year. The person centered plan is a process that involves gathering as much information as possible in order to provide the most comprehensive, personalized level of support. This includes obtaining a social history and completing a number of assessments. I will discuss a few of them but of course the process varies from state to state. One of the keys to developing a good person centered plan is to find out as much information possible about the client. This information is most often gathered at the intake process with the social history assessment. Case managers ask questions regarding service history, medical/hospitalization history, and any behavioral issues that may hinder progress on personal goals. Case managers also gather information about specific likes and dislikes. This information can be used to develop goals that are tailor- made for the client instead of just generalized goals that are used on every treatment plan. Case managers gather information about a person’s daily routine and activities. It’s important for clinicians to obtain an in-depth look at what the person does every day and determine if there are any desired changes or things that could be improved. Clinicians ask questions regarding progress in school and any services that may be needed. Case managers work with school staff and assist the client with obtaining services such as occupational and speech therapy, or behavioral consultation. If the client is out of school then the case manager will have to determine if day support or vocational placement is the most appropriate for the client needs. Gathering information about recreational activities help case managers and the client find the appropriate activities needed for community integration. This information is also helpful for support staff that provide services in the home. The main purpose of the person profile and social history assessments is to determine what is working and not working for the client. Case managers ask specific questions to determine if the services they have in place are adequate. Whatever is not working can be changed or adjusted. The appropriate service can be put in place so the problem that is not working can be resolved. Functional assessments evaluate several key areas of development to determine how much support is needed to complete basic activities of daily living. The seven areas are Health, Task Learning Skills, Communication, Mobility, Behavior, Personal Care, and Community Living Skills. In many states, individuals must meet the level of need in at least two (sometimes three) of the categories to qualify for additional Medicaid Waiver services. 1. Health- This section evaluates any medical needs such as assistance needed with taking medications and obtaining care for any medical conditions. 2. Task Learning Skills- This area measures the ability to complete multi-step tasks for extended periods of time. This area is helpful in determining if a client needs vocational services or day support services. 3. Communication- This area of the assessment determines the ability to communicate verbally or through gestures or signs. This information can determine if specialized equipment such as communication boards or other forms of assistive technology. 4. Mobility- This area determines the level of need regards to moving around their environment. It also evaluates the need for certain equipment such as walkers, wheelchairs, lifts, etc. 5. Behavior- This section evaluates the need for behavioral consultation or other interventions due to physical or verbal aggression. 6. Personal Care- This section evaluates the level of care needed to perform basic activities of daily living such as bathing, grooming, getting dressed. 7. Community Living Skills- Case managers also evaluate the individual’s readiness to live in the community and to determine if additional support is needed. Health status assessments are completed in order to gather information on any family history of health problems as well as any current health concerns. Case managers also collect information on all current medications and health care providers. It is critical that case managers obtain information on medications, dosages, and all doctors who provide treatment. This information is stored in the client file and is important in case of an emergency or a referral for other services. Fall risk assessments are extremely important, as they provide information that can be used to ensure client safety. Information from the fall risk assessment can be used by the support team to put the appropriate precautions in place. A fall risk assessment can determine if specialized equipment is needed such as stair lifts, walkers, and wheelchairs. 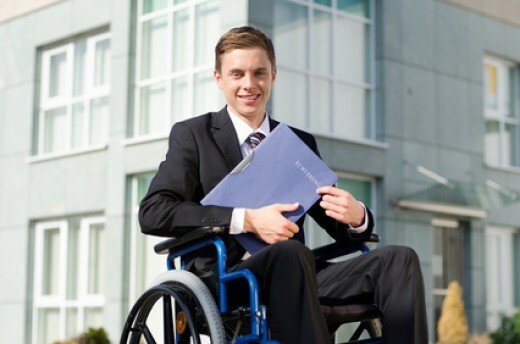 The fall assessment can also provide staff with a guide for providing the right support during transportation such as a van with wheelchair lift. Support staff will also have more specific instructions on how to provide assistance with ambulating (moving around) their environment. Finally, after completing all of the assessments and gathering background information, it’s time to actually develop a plan and put it into action. Case managers use the information to develop goals and objectives. Some states refer to goals and objectives as “desired outcomes”. Desired outcomes are categorized in two categories, “Important To” and “Important For”. Outcomes that are important to the individual tend to be goals that are centered on what they like to do. Outcomes that are important for the individual are more focused on health and safety. I have listed just a few examples of “important to” and "important for" outcomes. The PCP is never set in stone and can be changed and adjusted throughout the year. The plan changes as the needs change and as outcomes are achieved. Case managers maintain regular contact with the client, family and service providers to ensure that support is provided and that the desired outcomes are addressed according to the plan.